Gas port drilled for rifle length gas setup. Barrel Extension in the rear with feed ramps ready to install into the receiver. 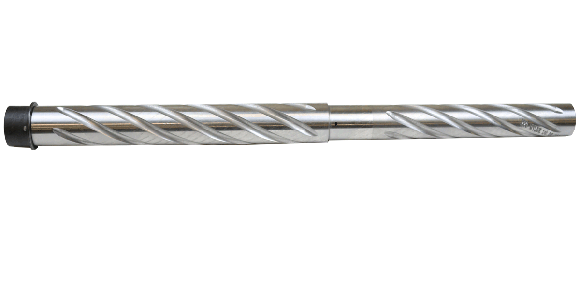 This is a premium grade 24" Unthreaded AR-15 Spiral Fluted Stainless Steel Heavy Barrel from a renowned U.S. contractor barrel manufacturer. When it comes to AR-15 barrels these stainless beauties are the granddaddy of them all. 1 in 8 twist Stainless, gas port drilled and set up for a rifle length gas system. 0.875 gas block size, 0.093 gas port diameter. Barrel Extension in the rear with feed ramps ready to install into any standard AR receiver. Barrel is chambered as .223 Wylde therefore properly chambering either commercial .223 Remington or 5.56 Nato rounds. 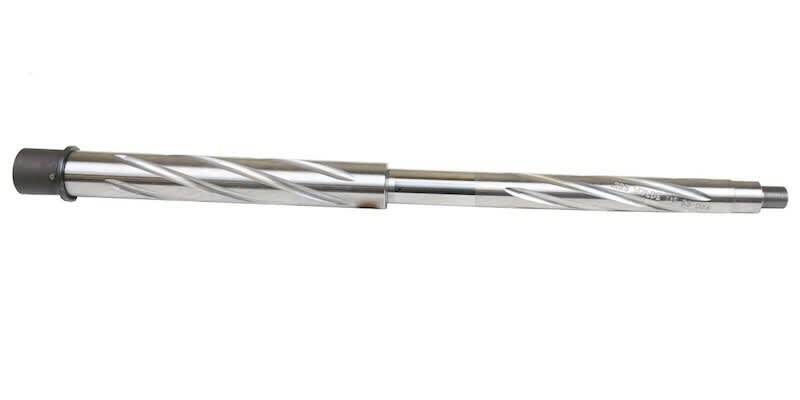 We use the 416 Gun Quality Stainless Steel for our Stainless Steel Barrels. These barrels are manufactured on modern CNC equipment to completely machine the barrel. We drill, ream, rifle, turn, chamber ream, pin the Barrel Extension, drill the gas hole, and mill the flutes, all on late model CNC Equipment. There are 20 CNC machines in the Barrel Department, plus CMMs, in the lab. The Barrels are manufactured under the ISO 9002 Quality System and go through a Final Inspection before shipping.